Chennai Smart City Limited Recruitment 2017 has announced its recent recruitment for freshers and experienced candidates. Want to apply for it? now its very easy to apply from the official site. 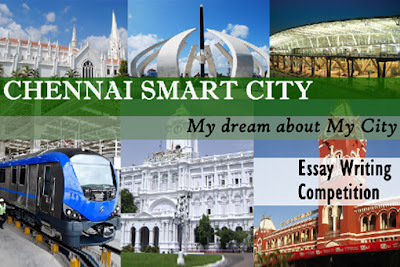 Want to know more details such as Age Limit, Eligibility Criteria, Exam Fee, Application Processes, Chennai Smart City Limited Admit Card Date, Chennai Smart City Limited Exam Date, Chennai Smart City Limited Result Date and Chennai Smart City Limited Last Date Details? now you can check below. Graduation in any discipline with at least 60% marks or equivalent grade point average and Member of Institute of Chartered Accountants of India or Institute of Cost Accountants of India or two-years full time Master of Business Administration / Post Gradate Diploma in Management with specialization in Finance from IIMs / IITs or in a reputed institution. Preference will be given to those candidates who is also a Member of Institute of Company Secretaries of India. / Cadre officers having experience not less than 3 years & Experience: Not less than 3 years of post-qualification experience in managerial capacity in an equivalent or similar position in a reputed organization.